Thanks to the many contributors of information to this site! Having finally taken some vacation time from work, I'm updating the site once again, with some big news! The American version of the DVD set is coming out! See the Announcements on the front page for details. The character of Mimi has been revived in a new live show put together by Sue Hodge and her husband Keith Maxon! Details also on the front page, and on the links page. Fabulous fan Carol Good sent in MP3 files of both sides of the 45 single of "Je T'aime". They're on the Sounds Page. Replaced my made-up episode titles for the episodes in series 1-4 with the official BBC episode titles. No known titles for later episodes, I'm afraid, so we're sticking with mine for now. Minor edits to the stations listing pages - thanks to everyone who contributes! The DVD set is coming out! See the Announcements on the front page for details. I'm so happy I could jump out of the television set! Removed dead links and added a bunch of fun new links to the Links Page including some fun picture capture sites and Vicki Michelle's new OFFICIAL web site! Added the few "official BBC titles" to some of the episodes in the Episode Guide. Still hoping to find out more official titles, but it seems unlikely to be coming anytime soon, and now my own homemade titles have begun cropping up in "official" places like TV Guide and the DVD set, which is beginning to truly confuse matters. At long last, added an MP3 file of the theme to the show(!) to the Sound Clips Page. Added character descriptions for Monsieur Alphonse and Roger Leclerc to the Characters Page. Rearranged the characters page a bit and added a bit more description to some characters. Noticed there wasn't a button for the Characters Page on the main part of the front page. Fixed that. Noted on the front page and on the Stations Page that UK Gold is now rerunning the series. Also added a few more station listings, and removed a few others. Still more to come, a bit later! Added the ability to Search Cafe Rene from the front page of the site. Did it by using the free "atomz.com" service. So far, this looks fabulous! Try it out and see for yourself! Added "Hitler Has Only Got One Ball" to the Music Page, after an alert reader noticed I'd missed it in my cataloguing of the music! Added the Internet "Sam Kelly refused" rumor to the persistent question of "What Is Hans Saying?". Added a new question about fan fiction to the FAQ Page. Fixed the link to the 'Allo 'Allo Fan Club. Egads! Where did the year go? I'll be doing a lot of updating on here over the next few weeks, so if you've sent in information and it's not listed here yet, don't despair -- I'll get to it soon! Re-did the look of the Front Page with lots of pictures, and cleaned it up in general. Added a whole bunch of new pictures and video captures to the Pictures Page. Added a new question about a Fan Club to the FAQ Page. Added new links on the Links Page and removed a couple of dead ones. Began marking which links are NEW in each revision, so you can find the new ones. Created banners people can use when making links to Cafe Rene (that is, when you add a link to this site into your own site's link page, now we have some banners you can use). I put them on the Links Page. Like 'em? Confirmed the existence of the Rene & Yvette single "Je T'aime", but don't have much more information. See the bottom of the Merchandise Page for details. Cleaned up the look of the navigation buttons on top of every page. Cleaned up the way the episode guide works so there is an introductory index page which doesn't contain lots of extra description, that leads into the various episode descriptions. Added a link to yesterday's BBC Chat with Gorden Kaye onto the Links Page. 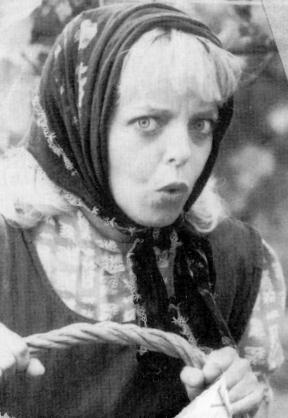 Added links to a Come Back Mrs. Noah page and a few new 'Allo 'Allo pages on the Links Page. Added a bunch more stations to the Stations Page, including a lot of new international stations! Added the names of a bunch of new contributors as well. Updated the "Fallen Madonna" question on the FAQ page, to indicate that commercial copies of the painting were made at one time. Updated the "They Call Me Mimi" song on the Music Page, to correct the aria name (to "Si, Mi Chiamano Mimi"). Added links to music CDs on the Merchandise Page, which take you directly to Amazon.Com to buy the CDs. These CDs contain songs referenced or used in 'Allo 'Allo. 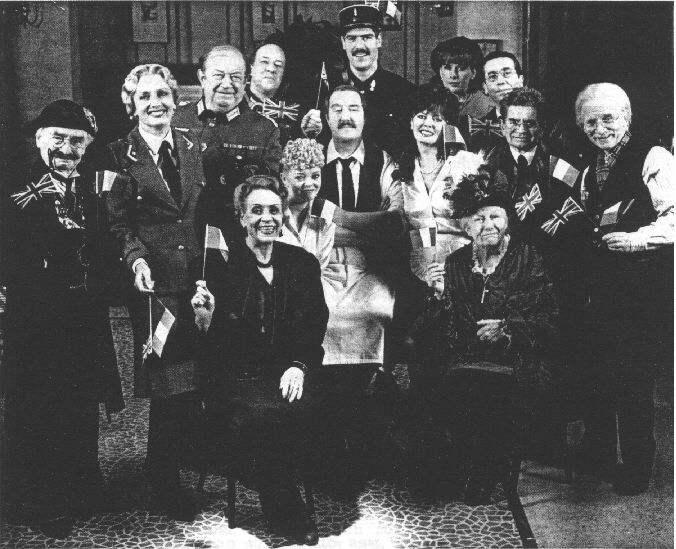 Added a link to the 'Allo 'Allo page of the BBC Comedyzone to the Links Page. Rearranged the front page a bit. Added a few new links to the Links Page, including a new British video seller, and modified a few others (like added the warning about The Zone, and a few other minor changes). Reworked some of the display on the Merchandise Page, adding a picture of the fourth video, as well as PG-ratings for the videos, and a few other minor changes (like BookPages has changed names to Amazon.Co.UK). Added a couple more stations to the Stations Page, including the news that BBC1 will begin rerunning the series starting in September! Added a small new picture to the Pictures Page. Fixed the link to the newly-moved and now expanded Hi-De-Hi web page on the Links Page. 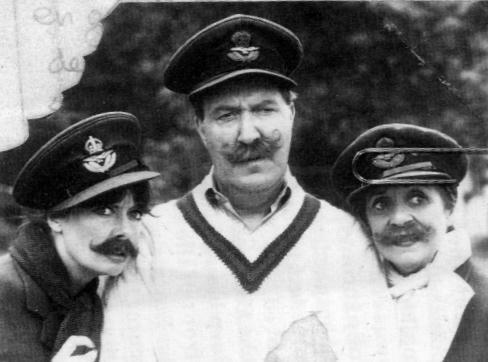 Hi-De-Hi is now a web site devoted to all David Croft's sitcoms! Three new sounds (donated by a kind fan!) on the Sound Clips Page. Updated Guy Siner's credits and biography on the Credits Page, thanks to the actor himself! Added the link to Suite101 on the front page. They've selected us as one of the best sites for British TV!. Added details about all four videos of 'Allo 'Allo to the Merchandise Page. 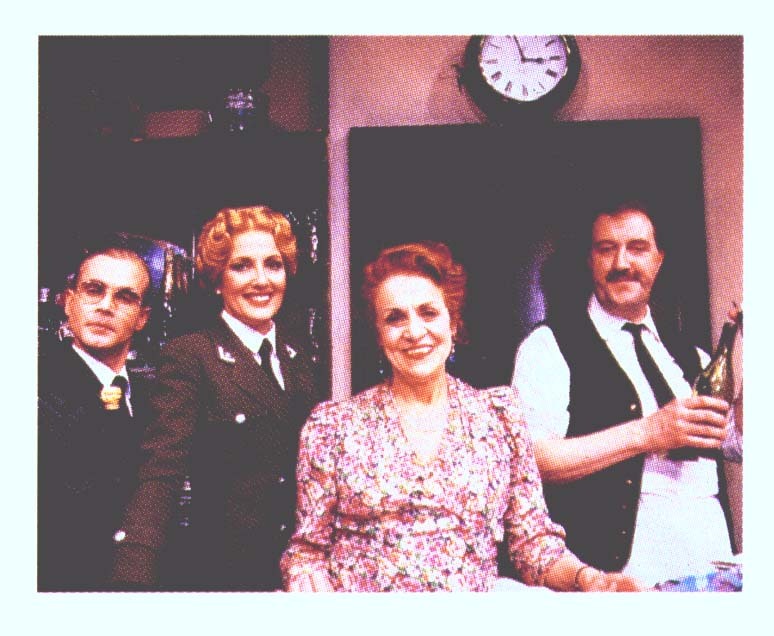 Added the 'Allo 'Allo Desktop Theme Page to the Links Page. 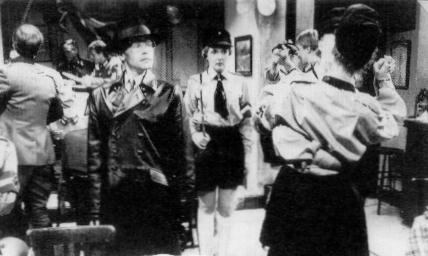 Added two new great 'Allo 'Allo fan pages to the Links Page: the new Knockwurst Page, and Lee Buchenau's page. Added the "It Ain't Half Hot Mum" web page to the Links Page. Added a bunch more stations to the Stations Page. Updated the entry for "Che Gelida Manina" on the Music Page. Formerly, I had called this song "They Call Me Mimi", but mentioned I didn't know what the real song was called or where it came from. An eagle-eared fan wrote in explaining it was an aria from La Boheme! Added Sweden's Kanal 5 and the British Television Fan Club of Quebec to the Links Page. Deleted many dead links from the Links Page, and updated the link to the Vicki Michelle interview. Updated the description of PAL format, and added a new question about this site's backgrounds and an alternate theory about what Hans is saying, in the FAQ. Updated the description of the cow in Episode 2.2 in the Series 1-4 Episode Guide. The BBC Sports World Cup Venues Page has sound clips up with Officer Crabtree giving French lessons as Rene presents written descriptions of the various French venues for the World Cup! Don't miss it! Coming very soon to Cafe Rene: the first commercially available 'Allo 'Allo merchandise in the United States: the new 'Allo 'Allo coffee mug from Design House (DesignHse@aol.com)! Added the index to the FAQ Page for Frequently Asked Questions, and added the question about Laugh-In..
Changed the video clip so it isn't ZIP-compressed any more -- the compression was not working for many people, and it wasn't saving all that much room. Changed the guestbook to allow replies (at least, I hope I did!). Added the FAQ Page for Frequently Asked Questions. Added a whole bunch of new stations showing the programme, thanks to a bunch of devoted viewers around the world! Updated the lyrics to "They Call Me Mimi" on the Music Lyrics page, thanks to a Fan From Finland! Fixed link to Comedyzine on front page. At long last, by popular request, I've added a guestbook! Stop by, read other people's comments, and say hello! At last managed to get a video clip up on the sound & video clips page. This is Colonel Von Strohm insisting he can shoot anyone! Added five screen captures to the Pictures Page. Added a scanned-in picture of the paperback "Complete War Diaries". Included a mention of the new, chopped-up version of the Christmas Special currently being syndicated. Got the title of "Love Divine All Love Extend" on the music page. Fixed some stations on the stations page. Minor fix to the opening of episode 7.5. Added a bunch of new sounds and video clips to the newly-renamed Sounds & Video Clips Page, including (at last) a WAV version of the theme. Added information about "Hear My Song, Violetta" to the Music Page (formerly one of the mystery unknown songs). Updated a few entries on the Stations Page. Added the new Sounds Page with sound clips from the show (only 2 there so far, but I'm working on it!). Added dozens of new stations showing the show, thanks to the efforts of dozens of fans! Added details about "I've Got You Under My Skin" on the Music Page. Fixed Maria's and Fanny's last names. Fixed listing of women in drag in episode 4.2. Added the Bookshop page and the Stations page. Thanks to the legions of fans who've sent in details on their local stations which broadcast 'Allo 'Allo! Add lots of info to the Cast Credits, including many more past and present credits for the actors. And still more to come as I find the time! Added lots and lots of links to the Links Page. Fixed the internal bookmark links on the Music Page. Added the listing for British used bookseller Sugen & Co on the Merchandise Page. Added allocst1.jpg and allocst9.jpg to the Pictures Page. Fixed the song listing for "La Vie En Rose" (formerly marked as an "unknown tune: 'Take Me To Your Heart Again'") on the Music Page. 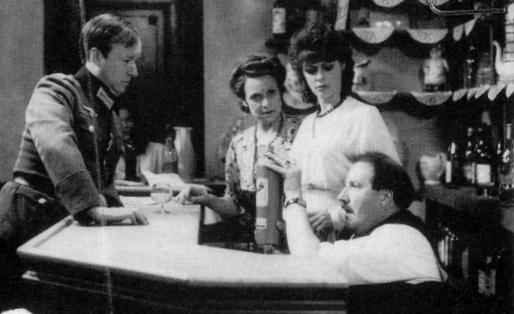 Added details on the 'Allo 'Allo videotape to the Merchandise page, and cross-referenced the episodes in the Episode Guide. Added biographies of Fanny and Michelle to the Characters page. Added the characters page and the pictures page. Corrected the music credits to show the co-author of the theme. Added lots of pictures to the episode guide and elsewhere. Added links on the Merchandise page to various online bookstores with some of these products in stock! Added links to the Comedy Ring on the front page. Reworked the front page a bit and added navigation buttons to every page. Changed the backgrounds of the various pages to look better and in general use the "logo background" wherever feasible. Added info on Gorden Kaye's autobiography & other info to the Other Materials page. Added links to more AA pages and more video pages. Added gifs of book covers and in-depth reviews of War Diaries to the Other Materials page. Added Rene's middle name (found in 5.24 Renewing the Vows). Added links to the indexers' home pages. Added cast photo to credits page. Updated list of episodes referenced in The Best of 'Allo 'Allo. Fixed minor typos in some series 1 episode descriptions & music page. At Last! The author of the Theme Song is revealed! Corrected music page entry for "Falling In Love Again"
Updated music page entries for numerous songs, filling in writers and history. Now listed - Jerry G's last name! Added detailed description of "Best Of" 10th Anniversary show, from Jeff Peck. Minor typographical fixes to Episode Guide and Credits page. Minor additions to Credits page. Added Series 7 descriptions from Jeff Peck. Added the (brief) Episode Listing, with links to the Descriptions. Renumbered series 1 to reflect the Pilot (which aired two years earlier), leaving us with only 7 episodes in what is truly the 1984 Series 1. The Pilot is now its own "series" and is coded"P". 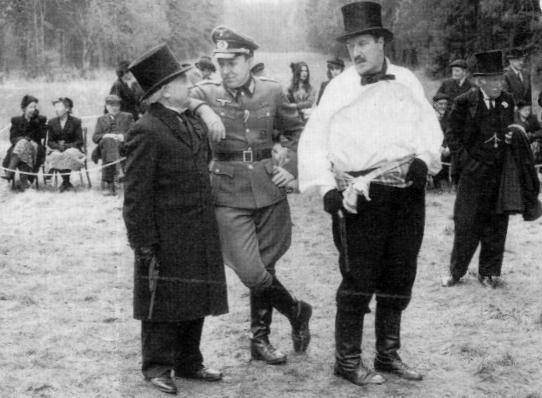 Expanded episode summaries for series 1, and retitled episode 1.1 (formerly episode 1.2) to reflect the show more closely; formerly "Herr Flick Arrives" (although Herr Flick arrives in the pilot), it is now titled "To Forge Madonna", as the forgery plan is concocted in this episode. Fixed the episode summaries for episodes 1.1-1.3. They were strangely slightly off, as though I had watched the episodes and gotten them mixed up before writing about them. Added details about some of the actors (bios, etc) to the credits page. Added details about Jeremy Lloyd's autobiography to the Other page. Added the picture of Rene to the home page and a few icons. Added the page of info about the music of the show. Added the page of other links. Transformed a flat text episode guide into an entire set of HTML files in a logical fashion, separating the episode guide from the credits, discussion of other items of AA interest, etc. 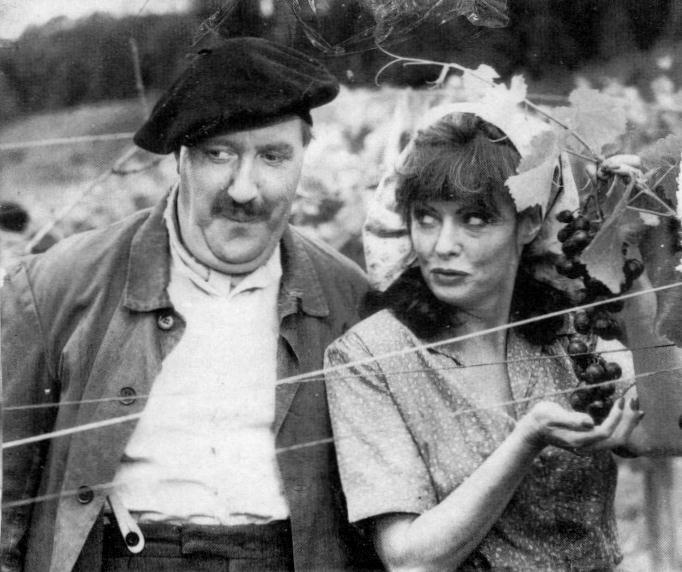 - This is now the 'Allo 'Allo Web Site, not just an episode guide! Added Jerry G's episode guide for Series 8. Added a whole graphic (ooo!) - jazzed up the pages in general. Completed the fix to episode numbering started in version 1.3 - it is now certain there is no "missing episode" between 5.25 and 5.26. Ordered the actors in the credits in a more-logical (and more actor-credit-friendly) way - major recurring characters at the front, minor recurring characters next, minor non-recurring last. Standardize on the use of the word "series" instead of "season" throughout the guide. Renumbered episodes 3.7 through 5.25 (after long discussion) (thanks to Jerry G and Stephen Dawson for arguing me out of my stubborn theories as to episode numbering; your theory makes much more sense). Renumber accidentally mis-numbered episodes from Series 1 and 2.